→ Supernatural Thrillers #1 (12/72) It! → Marvel Feature (1°) #1 (2) (12/71) Dr. Strange - The Return! → Journey Into Mystery (2°) #1 (2) (10/72) House! → Journey Into Mystery (2°) #1 (3) (10/72) You Show Me Your Dream... I'll Show You Mine!! → Frankenstein #1 (01/73) Mary Shelley's Frankenstein! → Frankenstein #2 (03/73) Bride Of The Monster! 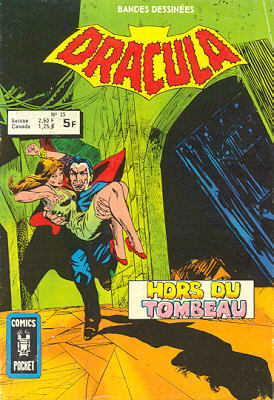 → Tomb Of Dracula (1°) #3 (07/72) Who Stalks The Vampire ? → Tomb Of Dracula (1°) #4 (09/72) Through A Mirror Darkly! → Astonishing #54 (2) (10/56) Nightmare At Noon! → Marvel Spotlight (1°) #3 (05/72) Werewolf By Night - Werewolf By Night! → Frankenstein #3 (05/73) The Monsters Revenge! 4 2e trim. 1975 4 FF (0,61 €) 14 / 11 / 8 / 6 / 2,4 Le monstre de la lande ! 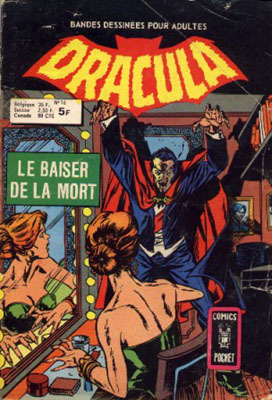 → Tomb Of Dracula (1°) #5 (11/72) Death To A Vampire-Slayer! 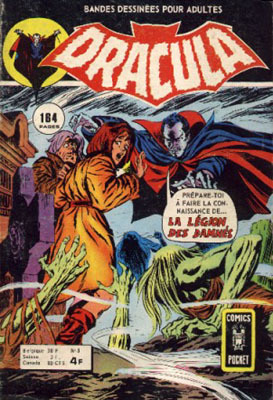 → Tomb Of Dracula (1°) #6 (01/73) The Moorlands Monster! → Tales Of Suspense #34 (1) (10/62) I Found The Girl In The Blue Glass Bottle! → Journey Into Mystery (1°) #64 (1) (01/61) I Dared To Battle Rorgg... King Of The Spider-Men!! → Marvel Spotlight (1°) #4 (06/72) Werewolf By Night - Island Of The Damned! → Werewolf By Night (1°) #1 (09/72) Eye Of The Beholder! 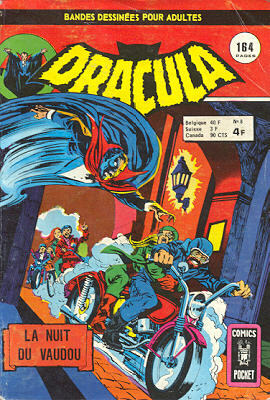 → Tomb Of Dracula (1°) #7 (03/73) Night Of The Death Stalkers! → Supernatural Thrillers #3 (04/73) The Valley Of The Worm! → Werewolf By Night (1°) #2 (11/72) The Hunter... And The Hunted! → Tales Of Suspense #22 (3) (10/61) The Anatomy Of A Nightmare! → Journey Into Mystery (1°) #75 (4) (12/61) The Man Who Lost The World! 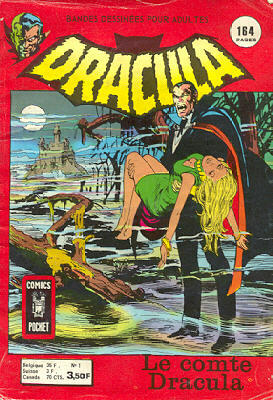 → Tomb Of Dracula (1°) #9 (06/73) Death From The Sea! → Werewolf By Night (1°) #3 (01/73) The Mystery Of The Mad Monk! → Worlds Unknown #2 (1) (07/73) A Gun For Dinosaur! → Journey Into Mystery (2°) #5 (1) (06/73) The Shadow From The Steeple! → Tomb Of Dracula (1°) #10 (07/73) His Name Is...Blade! → Werewolf By Night (1°) #4 (03/73) The Danger Game! → Adventure Into Fear #20 (02/74) Morbius - Morbius The Living Vampire! → Adventure Into Fear #21 (04/74) Morbius - Project: Second Genesis! → Adventure Into Fear #22 (06/74) Morbius - --This Vampire Must Die! → Tales To Astonish (1°) #7 (3) (01/60) I Lived A Ghost Story! 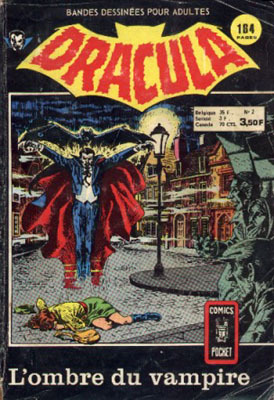 → Tomb Of Dracula (1°) #11 (08/73) The Voodoo-Man! → Werewolf By Night (1°) #5 (05/73) A Life For A Death! → Journey Into Mystery (2°) #3 (1) (02/73) The Shambler From The Stars! 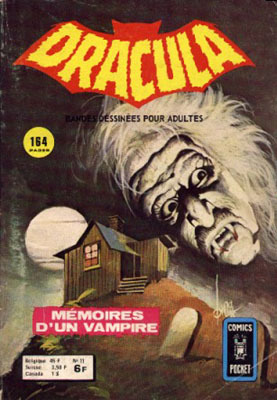 → Tomb Of Dracula (1°) #12 (09/73) Night Of The Screaming House! 9 1er trim. 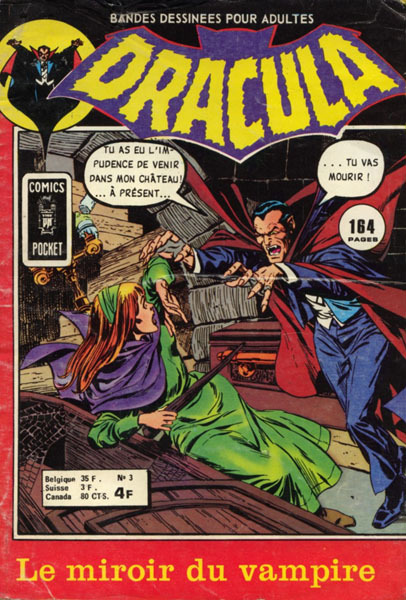 1976 4 FF (0,61 €) 12 / 9,5 / 7 / 5,5 / 2,1 La mort du vampire ! → Werewolf By Night (1°) #6 (06/73) Carnival Of Fear! → Werewolf By Night (1°) #7 (07/73) Ritual Of Blood! → Adventure Into Fear #23 (08/74) Morbius - Alone Against Arcturus! → Adventure Into Fear #24 (10/74) Morbius - Return To Terror! 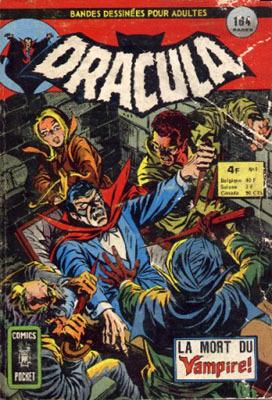 → Tomb Of Dracula (1°) #14 (11/73) Dracula Is Dead! → Werewolf By Night (1°) #8 (08/73) The Lurker Behind The Door! 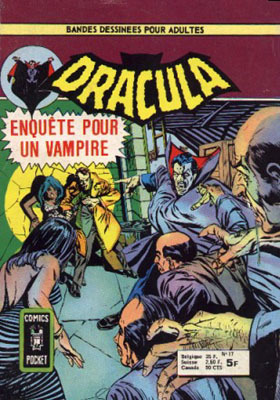 → Adventure Into Fear #25 (1) (12/74) Morbius - And What Of A Vampire's Blood...? → Adventure Into Fear #26 (1) (02/75) Morbius - A Stillborn Genesis! → Tomb Of Dracula (1°) #15 (12/73) Fear Is The Name Of The Game! → Kull The Conqueror / Kull The Destroyer (1°) #11 (11/73) King Kull Must Die! → Werewolf By Night (1°) #9 (09/73) Terror Beneath The Earth! → Werewolf By Night (1°) #10 (10/73) The Sinister Secret Of Sarnak! 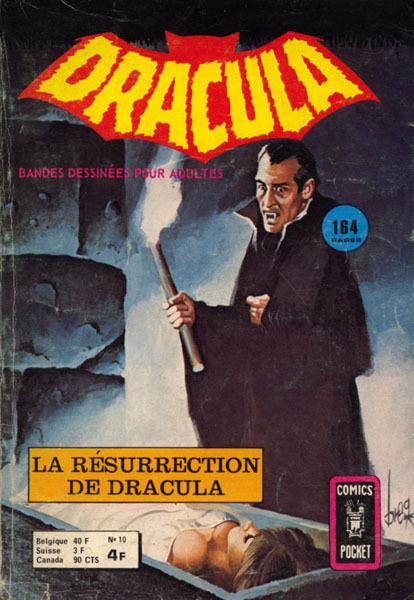 → Tomb Of Dracula (1°) #16 (01/74) Return From The Grave! → Werewolf By Night (1°) #12 (12/73) Cry Werewolf! 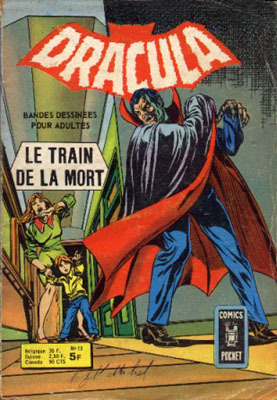 → Tomb Of Dracula (1°) #17 (02/74) Death Rides The Rails! → Werewolf By Night (1°) #14 (02/74) Lo, The Monster Strikes! → Tomb Of Dracula (1°) Giant-Size #2 (1) (09/74) Call Them Triad... Call Them Death! → Werewolf By Night (1°) #15 (03/74) Death Of A Monster! 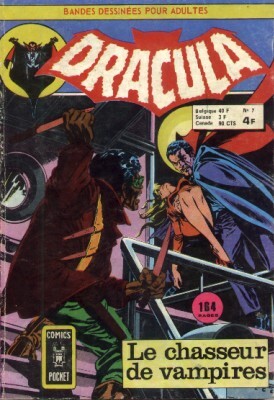 → Tomb Of Dracula (1°) #19 (04/74) Snowbound In Hell! → Tomb Of Dracula (1°) #22 (07/74) In Death Do We Join! → Werewolf By Night (1°) #16 (04/74) Death In The Cathedral! → Marvel Two-In-One #15 (05/76) The Thing And Morbius - The Return Of The Living Eraser! → Tomb Of Dracula (1°) #23 (08/74) Shadows In The Night! → Tomb Of Dracula (1°) #24 (09/74) A Night For The Living......A Morning For The Dead! → Werewolf By Night (1°) #18 (1) (06/74) Murder By Moonlight! → Werewolf By Night (1°) #19 (07/74) Vampires On The Moon! → Werewolf By Night (1°) #20 (08/74) Eye Of The Wolf! → Werewolf By Night (1°) #21 (09/74) One Wolf's Cure... Another's Poison! → Tomb Of Dracula (1°) #25 (10/74) Night Of The Blood Stalker! → Strange Tales (1°) #113 (3) (10/63) The Shoemaker's Strange Assistants! 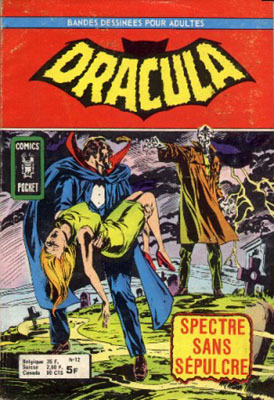 → Tomb Of Dracula (1°) #26 (11/74) Where Lurks The Chimera! 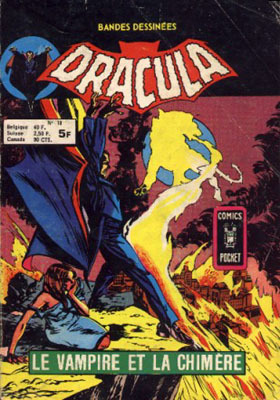 → Tomb Of Dracula (1°) #27 (12/74) Night-Fire! → Tomb Of Dracula (1°) #28 (01/75) Madness In The Mind! 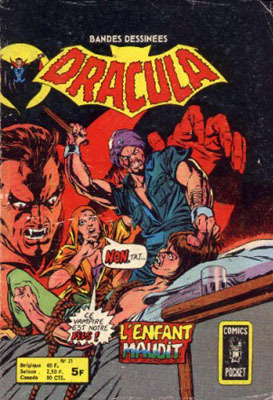 → Tomb Of Dracula (1°) #29 (02/75) "Vengeance Is Mine!" Sayeth The Vampire! → Adventure Into Fear #28 (06/75) Morbius - The Doorway Screaming Into Hell! → Adventure Into Fear #29 (08/75) Morbius - Through A Helleyes Darkly! 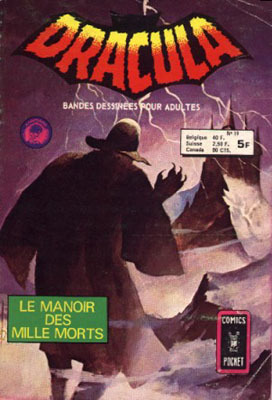 → Adventure Into Fear #30 (10/75) Morbius - The Vampires Of Mason Manor! → Adventure Into Fear #31 (12/75) Morbius - The End Of A Vampire! 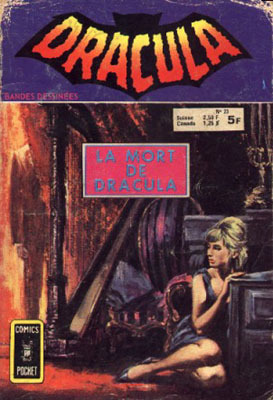 → Tomb Of Dracula (1°) #30 (03/75) Memories On A Mourning's Night! → Kull The Conqueror / Kull The Destroyer (1°) #18 (12/76) The Keeper Of Flame And Frost! → Kull The Conqueror / Kull The Destroyer (1°) #19 (02/77) The Crystal Menace! → Kull The Conqueror / Kull The Destroyer (1°) #20 (04/77) The Hell Beneath Atlantis! 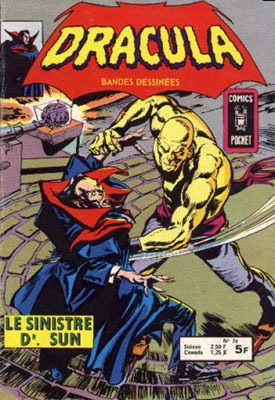 → Tomb Of Dracula (1°) #31 (04/75) Ten Lords A Dying! → Journey Into Mystery (1°) #91 (3) (04/63) The Manikins! 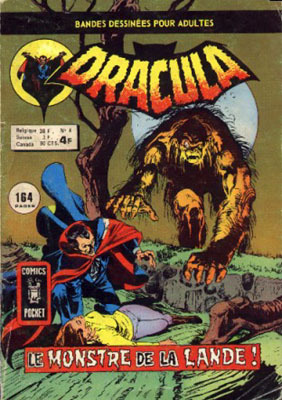 → Tomb Of Dracula (1°) #32 (05/75) And Some Call Him... Madness! → Tomb Of Dracula (1°) #33 (06/75) Blood On My Hands! → Tomb Of Dracula (1°) #34 (07/75) Showdown Of Blood! 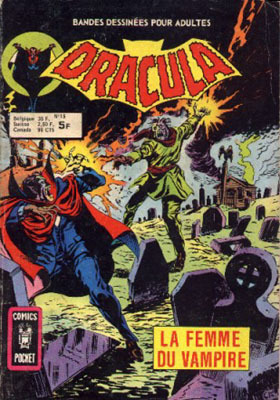 → Tomb Of Dracula (1°) #36 (09/75) Flight Of Fear! → Tomb Of Dracula (1°) #37 (10/75) The Vampire Is Coming! The Vampire Is Coming! 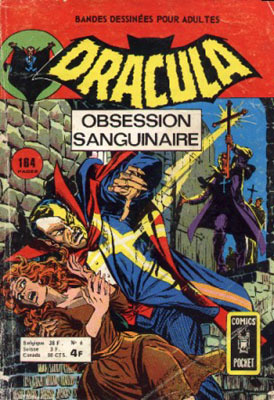 → Tomb Of Dracula (1°) #38 (11/75) Blood-Rush! 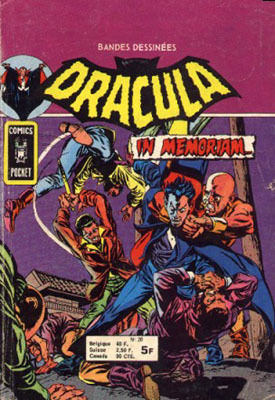 → Tomb Of Dracula (1°) #39 (12/75) The Death Of Dracula! 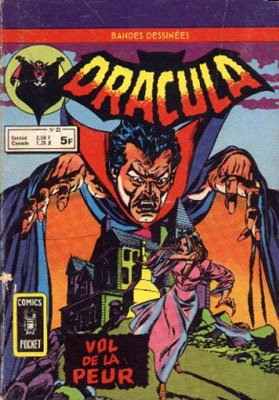 → Tomb Of Dracula (1°) #40 (01/76) Nightmares Of A Living Deadman! → Tomb Of Dracula (1°) #41 (02/76) Re-Birth! 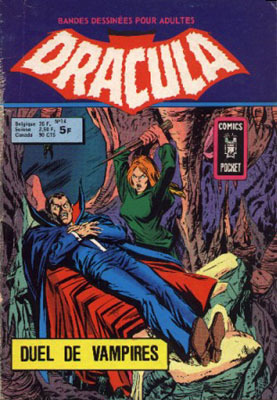 → Tomb Of Dracula (1°) #42 (03/76) A Final Battle Waged! → Tomb Of Dracula (1°) #43 (04/76) Paul Butterworth... The Night-Staker! → Kull The Conqueror / Kull The Destroyer (1°) #23 (10/77) Demon Shade!